1. It is highly commendable the camaraderie found in Fashion Law. Those I have met, both on and offline, genuinely want to see this niche practice grow and there is indeed a collaborative effort to get it there. 2. It is encouraging to see women, and particularly many minority women lawyers, on this list. Many are spearheading unique areas in fashion law both the legal and fashion industries never thought possible. I would love to see, in the nearest future, a concerted effort to move from sharing our expertise via articles, speeches, seminars, social media to actually authoring Fashion Law books. As it stands, there are only two books on fashion law and I believe more books are needed; certainly from many listed on BAFFLED blog’s list. 3. I believe, especially if the Fashion Copyright Bill, as we dub it, passes, then Fashion Law will mirror, very much, the blue print that has been laid out for us in Music Law. This means a lot more litigation than we ever thought possible in the fashion industry. In fact, fashion lawsuits will become commonplace. It is indeed why many West Coast Fashion Lawyers and fashion industry are vigorously opposed to the Fashion Copyright Bill originating from the East Coast by my colleague Professor Susan Scafidi. From a litigator standpoint, it is good business for lawyers. However, from an industry insider standpoint, I believe the bill will have many, from manufacturers to designers, completely scared to death about copyright infringement and the exorbitant litigation cost that I believe will ensue. Obviously, the quick response is to say, well if designers or other infringers do not want to be sued, simply don’t infringe. Plus, the proposed statute now has a heightened pleading standard that should curb all of that. However, any true litigator that spends time on the front lines i.e. doing courtroom battles should have at least one eyebrow raised right about now. 4. Finally, take a keen look at B.A.F.F.L.E.D blog’s list. 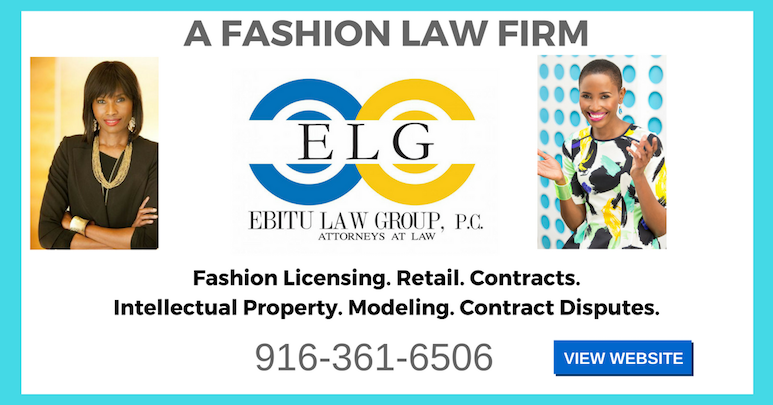 These women fashion lawyers are relevant but will become even more relevant within the next 5-10years; as the Fashion Law niche continues to expand. The list is an illustrative one as Ms. Watkins explains. So, I encourage more fashion law colleagues to come out of hiding; and work with some of the more visible voices seen on this list, to create more awareness for the niche area. As it stands, Fordham School of Law is the only legal institution with a fashion law program. I understand a reputable law school in Los Angeles is looking to also begin offering fashion law courses. Things can only begin to heat up from here on. So, watch this space. Susan Scafidi, Blogger (Couterfeitchic), Author, Law Professor & Pioneer of First Ever Fashion Law Institute. 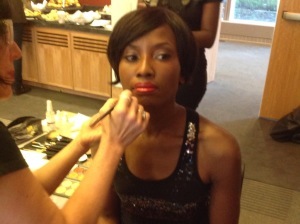 Mariessa Terrell, Founder SBC Law Group, Founder Fashion Law and Policy Center. Kenya Wiley, Former Accessories Designer, Founder & Blogger at Fashioncloture.com (Fashion Politics). Barbara Kolsun, Adjunct Professor at New York University School of Law and Benjamin Cardozo School of Law, Executive Vice President and General Counsel of Stuart Weitzman, LLC, Co-Author of the first textbook on Fashion Law. Uduak Oduok – Attorney & Partner at Ebitu Law Group, P.C., Former Fashion Model, Publisher Ladybrille Magazine, Founder & Blogger at Fashionentlaw.com. BAFFLED Blog has the full list and comprehensive story. For First timers visiting me and wondering, “what the heck is fashion law?,” watch the video clip below.